As six voices fill the air with transcendent music, a lone female dancer beats staccato rhythms with her feet. Brilliant, determined, defiant—this is Sor Juana Ines de la Cruz, 17th century Mexican nun, scholar, writer and advocate for women’s education. 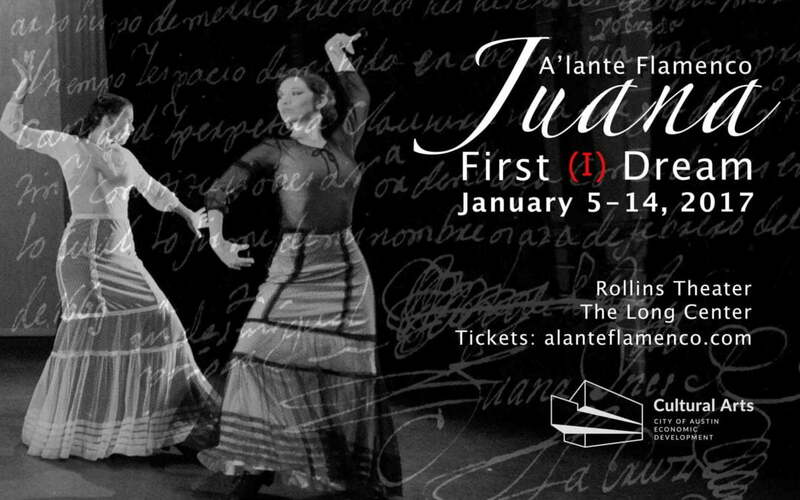 A’lante Flamenco brings Juana and her world to life through fiery Flamenco guitar, vocals, and dance, with the voices of the Texas Early Music Project adding Baroque choral works from Juana’s era. Juana: First (I) Dream is inspired by Sor Juana’s lifelong fight for knowledge, independence, and scholarship. Be prepared for a totally unique and immersive experience! January 5-7 & 12-14, 2018. Tickets at thelongcenter.org.